100% ring-spun combed cotton, front and back print. Drawn by Pepe Atencia for Escapada. 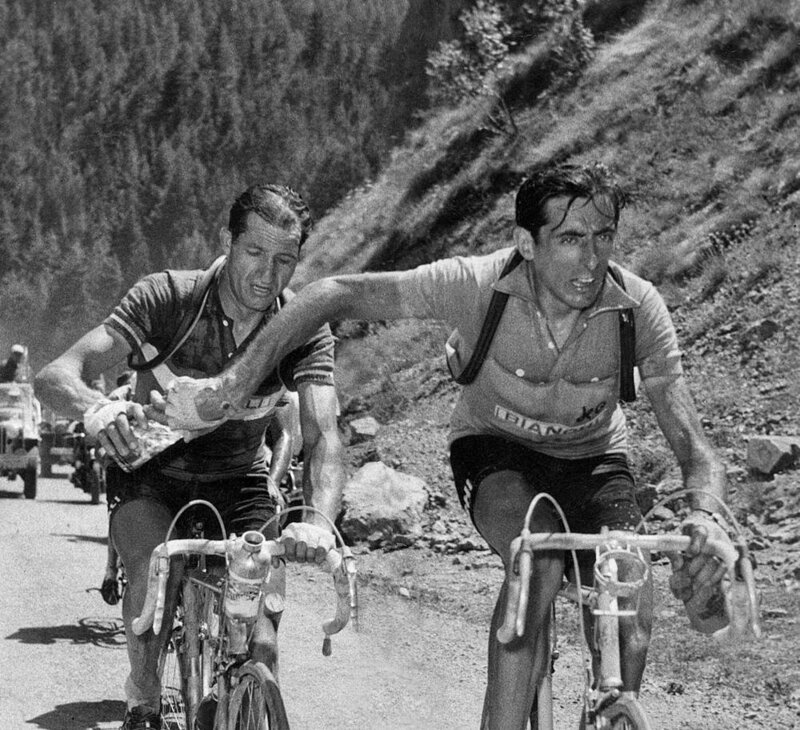 Tour de France 1952, Fausto Coppi and Gino Bartali share a water bottle on the Galibier hills. Who passed the bottle? Who cares! Their rivalry made them stronger, without one another, they wouldn’t have been what they where. Rivals of course but gentlemenhood comes first.